Start in Amsterdam’s prettiest district Jordaan. If you’re confident enough, get on a city bike and go exploring. Check out some fantastic museums, like Van Gough, Anne Frank Museum or Rijksmuseum. 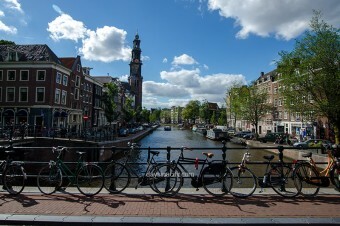 But one of the best things you can do in Amsterdam is just to wander the picturesque canals and city squares.